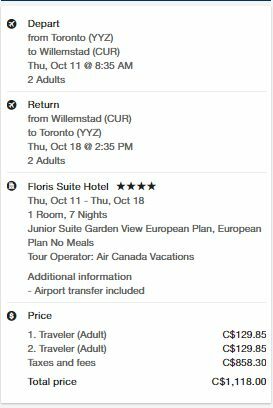 Air Canada Vacations has dropped the price of a few of their last minute 1 week flight and hotel packages from Toronto to Curacao down to between $559 and $570 CAD (per person) including taxes. They are not all inclusive packages with meals and drinks included. Just the flight, hotel, and transfers to/from the airport. 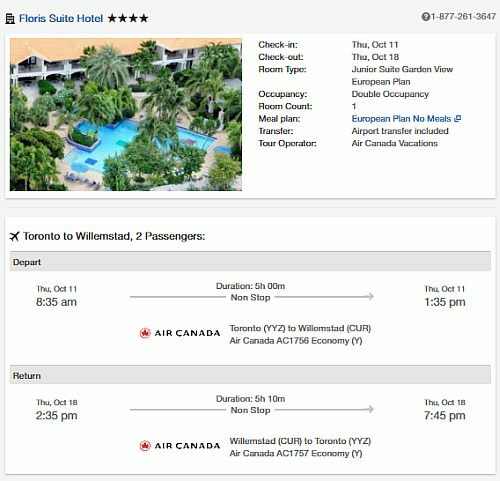 A non-stop flight from Toronto to Curacao generally goes for a minimum of $600 CAD roundtrip alone. It's not usually a very cheap place to get to. You're essentially getting a well priced non-stop flight to Curacao with the accommodations thrown in for free. The Air Canada Rouge flights from Toronto to Curacao included with the packages are non-stop both ways. The Floris Suite Hotel has 4 circles on Tripadvisor with 38% of reviews rating it as Excellent. Note: The Floris Suite Hotel is a gay/lgbt friendly hotel. If you read the reviews on Tripadvisor, you'll see it's generally a mix of straight and gay couples. It's also an adults only hotel. 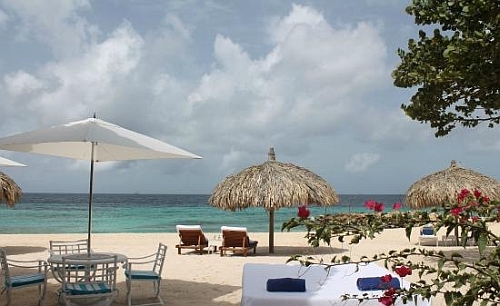 The Acoya Curacao Resort Villas And Spa has 4 circles on Tripadvisor with 46% of reviews rating it as Excellent. The Acoya Curacao Resort Villas And Spa has 4.5 circles on Tripadvisor with 57% of reviews rating it as Excellent. toronto, yyz, caribbean, willemstad, curacao, cur, southern caribbean, netherlands antilles, lesser antilles, leeward antilles, flight and hotel packages and floris suite hotel.